This will be my last post from Europe because I’m going back home to the states tomorrow for Thanksgiving! I’m really going to miss it here, but it’s going to be nice to get a break from this frigid cold! 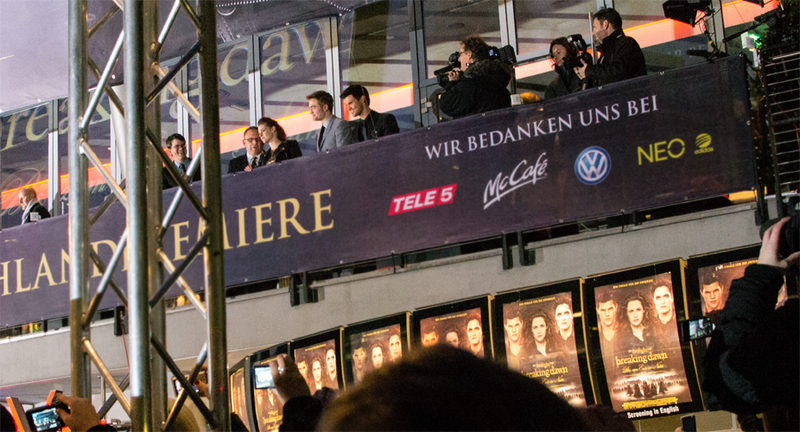 I was lucky to be at the Berlin premiere of the Breaking Dawn part 2 movie last night. Lucky, because I’m a fan of the Twilight series. I’ve read and enjoyed all the books and movies. 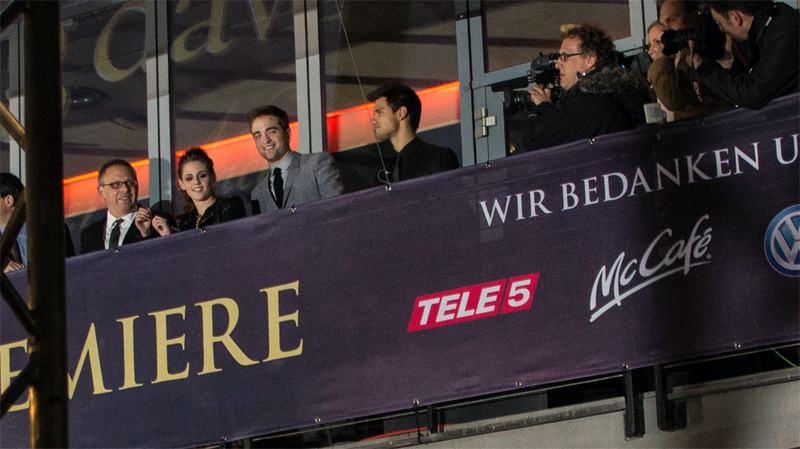 I’m not a Twihard. 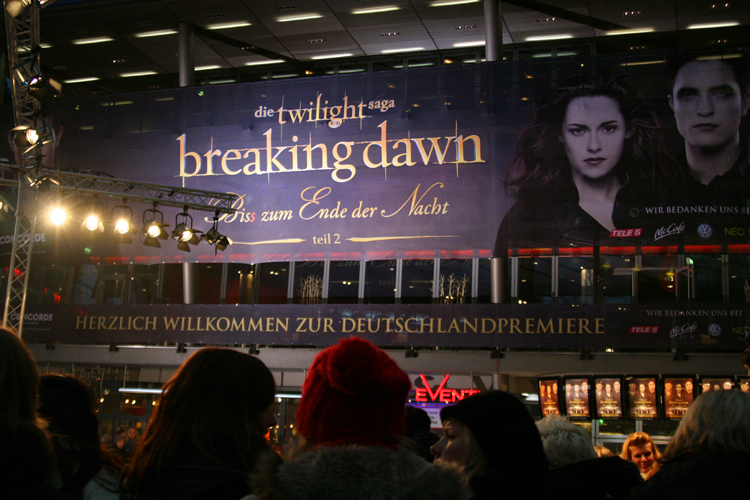 Many Twihards here in Berlin started to line up for the premiere at 6pm the day before in the freeeezing cold! 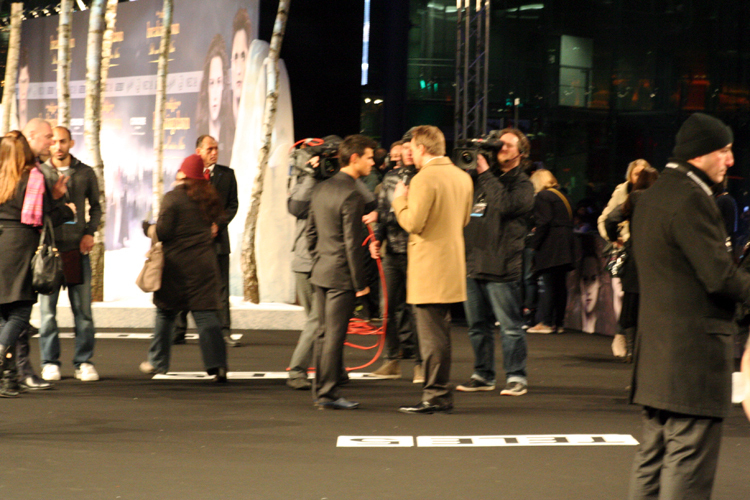 One Twihard even admitted that she attended the other Breaking Dawn premieres in London and Madrid. Unfortunately at one point, security came to move some guard rails because they said there were too many people between them. They kicked out a bunch of girls that were waiting there for hours. I watched as they scrambled around, tears streaming down their faces as they looked for a new spot. 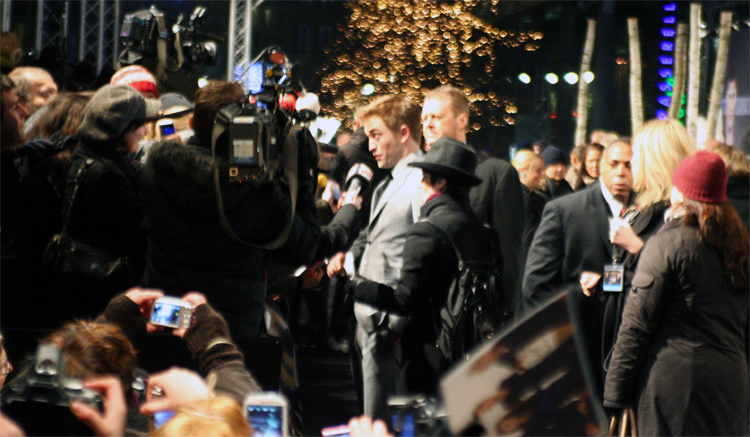 I apologize these photos are a bit blurry and noisy. It was very challenging to capture them. Many fans brought little ladders and beer crates to stand on. My wonderful friend carried me on his shoulders and I was able to take these. 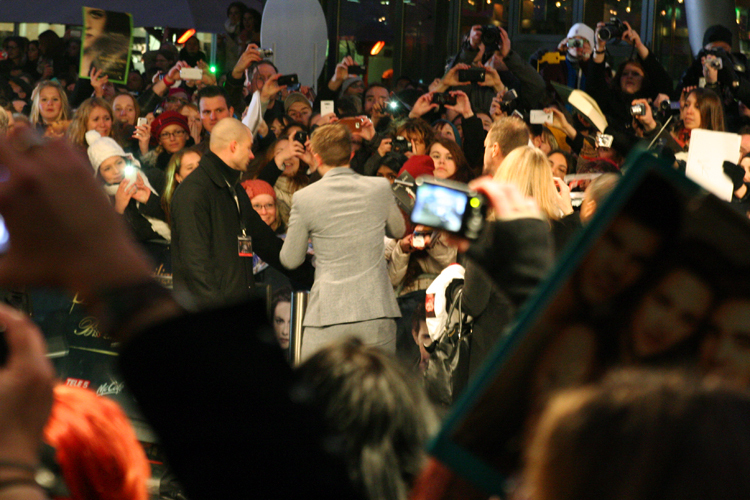 Event photography is definitely not my thing, but this was a great expierence that I’ll never forget! I’ll be able to update a lot easier and faster when I’m home. See ya’ll back in the states! You did get some good shots here. I’m sure it wasn’t easy in a crowd and from a distance. 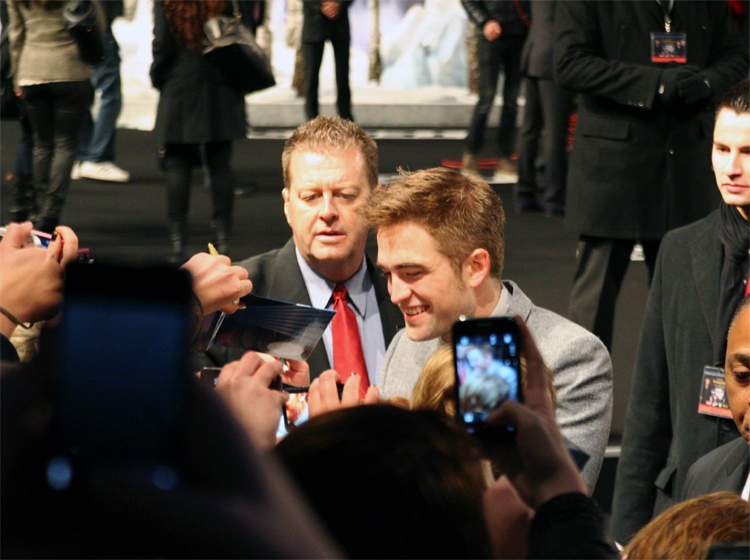 I especially like the first picture with Robert P in it. The expression on his face!! 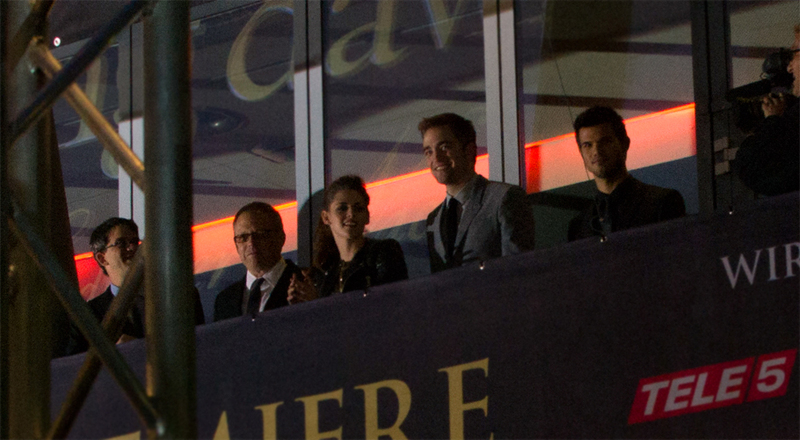 Nice pics, Kristen looks good as always.